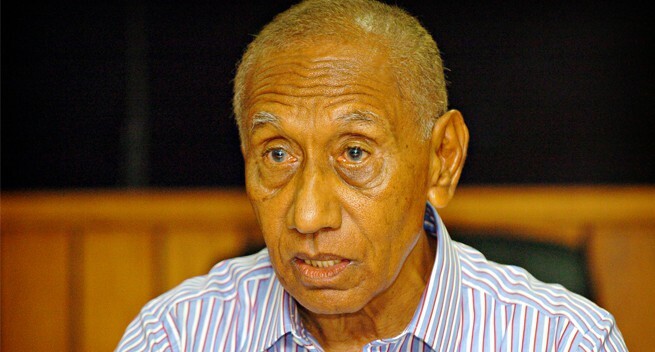 Papua New Guinea's New Ireland Governor Sir Julius Chan today issued a statement concerning the benefits received from the Lihir Gold Mine by the company Newcrest Mining, the State and the people of New Ireland. “Recently Newcrest issued a press release saying the mine had paid K376 million in royalties over a ten year period. ‘It seems they think that is a lot of money. “But when you look at it the total only represents K37.6m each year that the people of New Ireland have received in royalties. “Compare that to what Newcrest and the National Government have received,” said Sir Julias. Newcrest has actually only operated the mine for five years since late 2010. However, in that five years, according to Newcrest’s own annual reports, the difference between the cost of production and the sale price of gold means they have made nearly K5 billion in profit. “So during the time that the people of New Ireland were receiving only K37.6m per year in royalties, Newcrest was making nearly a billion kina per year. That is over twenty-five times as much as the people of New Ireland,” Sir Julias said. Sir Julius also said that during the same time “the National Government has been making over K300 million per year in various taxes, mining levies and other fees. “This means National Government is making nearly ten times as much as the people from whom the wealth actually comes. “So when you look at it, between the company and the National Government they are making about K1.3 billion per year, while the province is only receiving K37.6 million in royalties and a pittance in special support grant. “The situation must change, we need to increase royalties to be consistent with international practice.